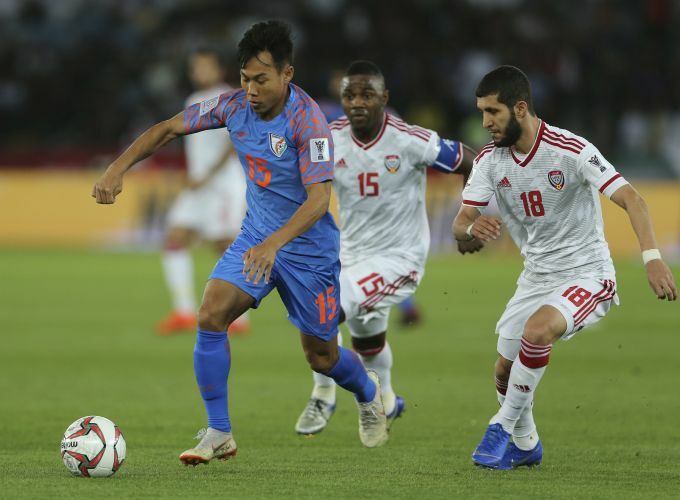 Abu Dhabi: India's midfielder Udanta Singh, left, runs with ball past United Arab Emirates' defender Alhasan Saleh, right and United Arab Emirates' midfielder Ismail Al Hamadi during the AFC Asian Cup group A soccer match between United Arab Emirates and India at Zayed Sports City Stadium in Abu Dhabi, United Arab Emirates, Thursday, Jan. 10, 2019. 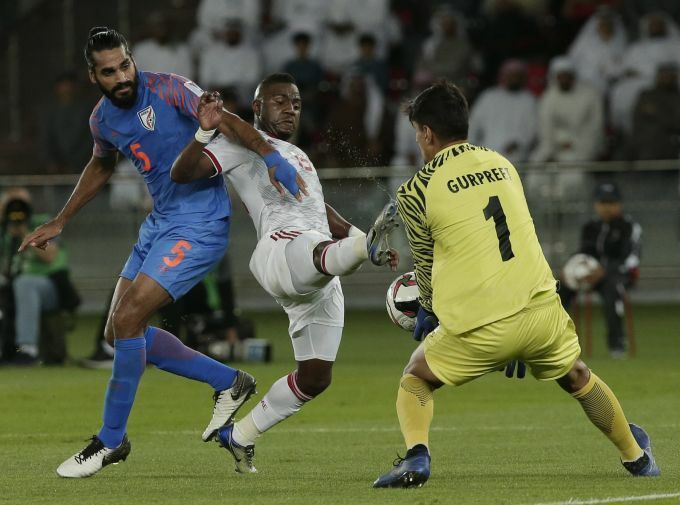 Abu Dhabi: India's goalkeeper Gurpreet Singh Sandhu saves in front of United Arab Emirates' midfielder Ismail Al Hamadi and United Arab Emirates' midfielder Amer Abdulrahman during the AFC Asian Cup group A soccer match between the United Arab Emirates and India at Zayed Sports City in Abu Dhabi, United Arab Emirates, Thursday, Jan. 10, 2019. 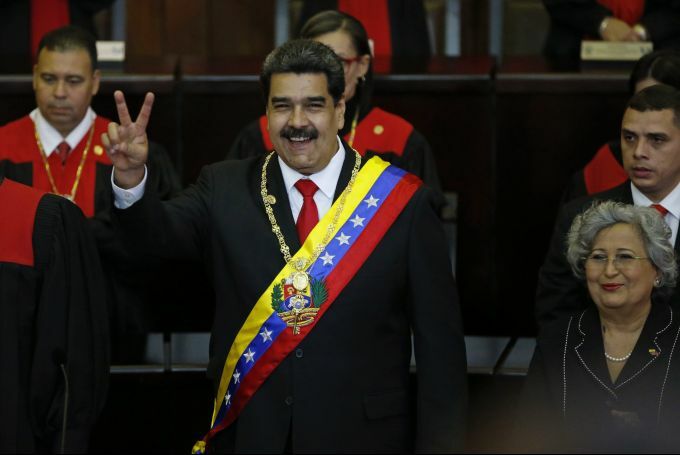 Caracas: Venezuela's President Nicolas Maduro makes a victory sign during his swearing-in ceremony at the Supreme Court in Caracas, Venezuela, Thursday, Jan. 10, 2019. Maduro was sworn in to a second term amid international calls for him to step down and a devastating economic crisis. 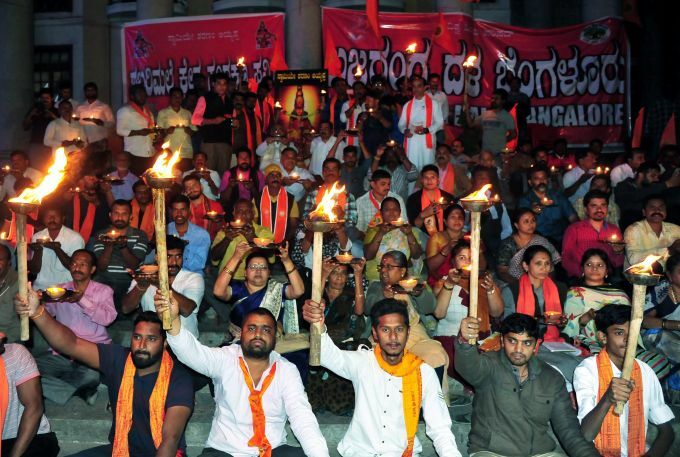 Bengaluru: Members of Bajrang Dal hold the torch-lights during a protest demanding to withdraw all the cases against Ayyappa devotees, and other demands, in Bengaluru, Thursday, Jan 10, 2019. 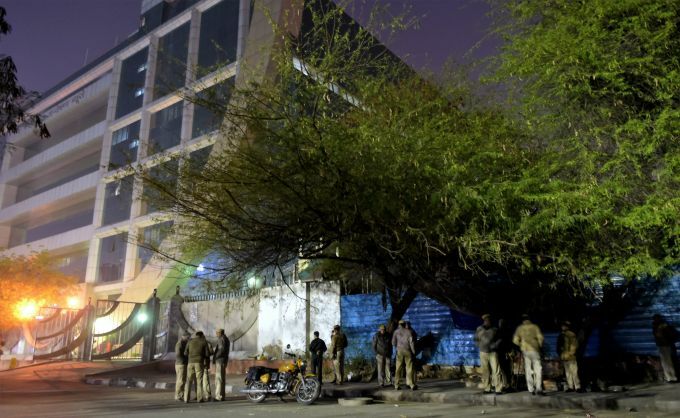 New Delhi: Police personnel stand on guard outside Central Bureau of Investigation (CBI) headquarters, in New Delhi, Thursday, Jan 10, 2019. CBI Director Alok Verma was removed on charges of corruption and dereliction of duty during a Selection Committee meeting chaired by Prime Minister Narendra Modi, according to officials. 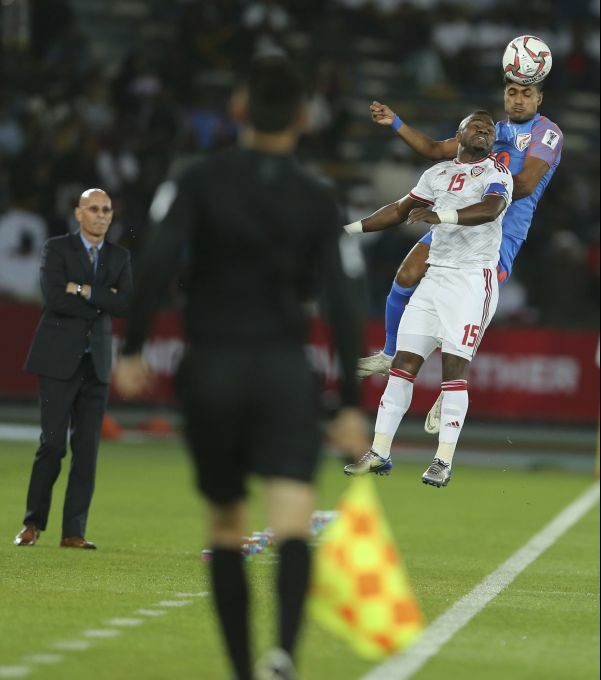 Abu Dhabi: United Arab Emirates' midfielder Ismail Al Hamadi, left, jumps for the ball with India's defender Pritam Kotal during the AFC Asian Cup group A soccer match between United Arab Emirates and India at Zayed Sports City Stadium in Abu Dhabi, United Arab Emirates, Thursday, Jan. 10, 2019.